Hannah was brought to the US in 2002. Her background is Unknown European Stock but her presence is always known. Hannah is 15.2 and the leader of the herd here. When you call Hannah all others follow. She is a very gentle giant and a great dam. 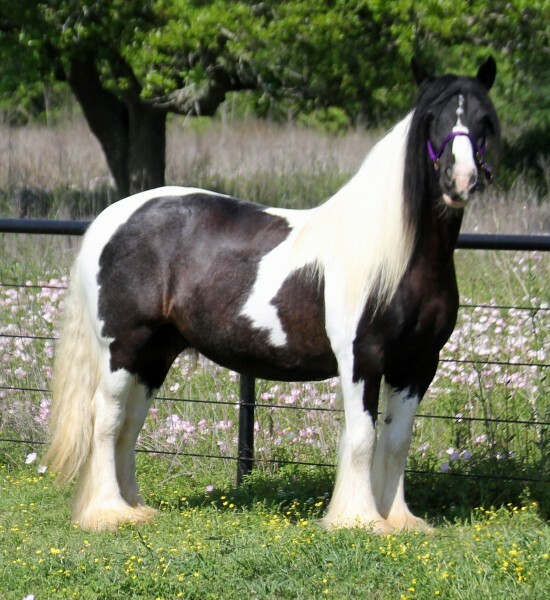 Hannah is heterozygous tobiano and homozygous black. She is GHRA registered.